You read that highlight right. Somehow the matchup of Takanori Gomi and Melvin Guillard managed to uplift me, and not fill me with complete dread for the sport of MMA. Go figure. Check out this incredible finishing sequence from RIZIN 11. Maybe no one in the building is more surprised by this outcome as Gomi himself. But you’d be kidding yourself if you thought Gomi wasn’t going to celebrate with the grace of a peak Tito Ortiz… literally. A drinking, past-prime Gomi starching an absolute shot Guillard still had some magic left in it for RIZIN. 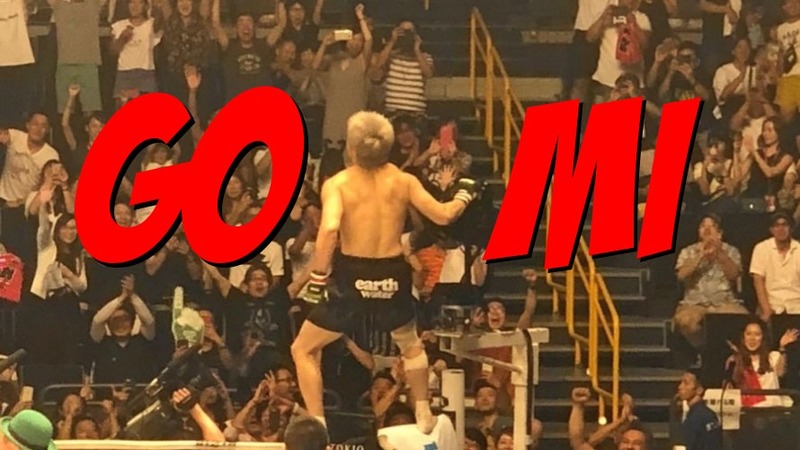 It’s only proper that Gomi has been able to end his career with some fun and competitive scraps that bring back that “Fireball Kid” nostalgia. Thank you RIZIN and the MMA Gods. We needed this.